Pickering Naturalists are a group of friendly nature enthusiasts who come together frequently for meetings and outings. Membership is open to anyone, of any age, with an interest in the natural world – astronomy, botany, birding, geology, nature photography, zoology. Most of our membership is from Ajax/Pickering and Scarborough and the surrounding area, but we have members from farther afield as well. All are welcome. Meetings are held monthly (September to June) usually on the first Thursday of the month at 7:30 p.m. in O’Brien Room B, near the east entrance of the Pickering Recreation Complex, 1867 Valley Farm Rd., Pickering. Regular meetings include presentations by guest speakers on a wide range of nature and conservation topics. Outings range from special interest subjects such as birdwatching, butterflies and dragonflies, plant study, fossil-hunting and star-gazing to general nature appreciation. We may visit areas as close as a friend's backyard, or as distant as Algonquin Park. Pickering Naturalists was founded in 1977. Dr. J. Murray Speirs, professor of Zoology at University of Toronto and ornithology researcher, lived at Altona Road in Pickering. 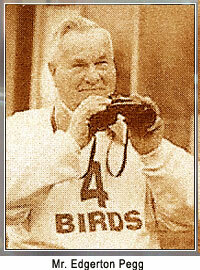 In the course of his birding, Dr. Speirs met many other birders and nature lovers. His students conducted quadrant studies in his woodlot, and some became inspired with Dr. Speirs’ love of birding. 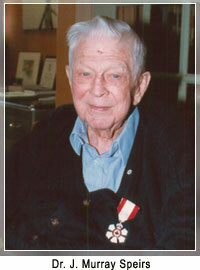 Dr. Speirs was named a Member of the Order of Canada in the year 2000. A group of interested people felt that a natural history club would address two purposes: first, a congenial club for natural history study and recreation, and second, to provide an environmentalist lobby in the Pickering area. Edgerton Pegg, a Pickering farmer and self-educated naturalist, and Dr. Speirs are considered the club founders. Both are deceased in the last few years. At present Pickering Naturalists are involved in two conservation issues. The club has made a project of fundraising for Thickson's Woods Land Trust, and has provided support for the Altona Forest Stewardship committee. A few members have been central in the annual Cranberry Marsh Raptor Watch. The Pickering Naturalists club holds ten evening meetings each year with guest speakers on various nature topics. A variety of outings is offered, generally on weekends, encompassing birding, botany, hiking, etc. Outings have included Spring Wildflowers, Astronomy Evening, Carden Birding, Toronto Islands Birding, Bird Feeder Tour, Christmas Bird Count and Algonquin Camping. A club newsletter, Pickering Naturalist, is published quarterly, with nature articles and notices of upcoming events. Please follow the links if you have suggestions for or questions about Pickering Naturalist events and publications.